Carly Marshall joined MHBC in 2014, she assists in the research and planning analysis for the preparation of applications and reports for development approvals. 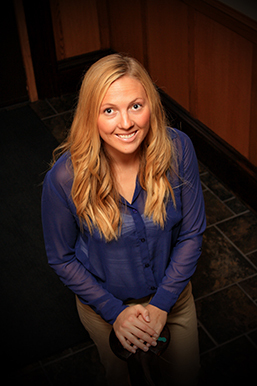 Carly also provides advice to private and public sector clients on a variety of land use planning issues. Drawing on experience in the fields of public law, transportation, and community engagement Carly is able to take a multi-disciplinary approach to her work. Prior to joining MHBC Carly has had experience working in the public sector at both the provincial and municipal level. Ms. Marshall is a candidate member of the Ontario Professional Planners Institute. Carly completed her graduate work in transportation policy, focusing on parking policy reform in suburban cities and presented her research on affordable housing at the 2013 OPPI Conference. Carly brings international planning experience to the firm as she led a policy team on a public spaces project in Pondicherry, India. Carly received her Bachelor of Arts (Honours) in Political Science with a Concentration in Public Law from Brock University in 2010, and Master of Urban and Regional Planning from Queen’s University in 2013 .